News | RJO'Connell & Associates, Inc.
To find out more about Earthworm visit www.earthwormrecycling.org. 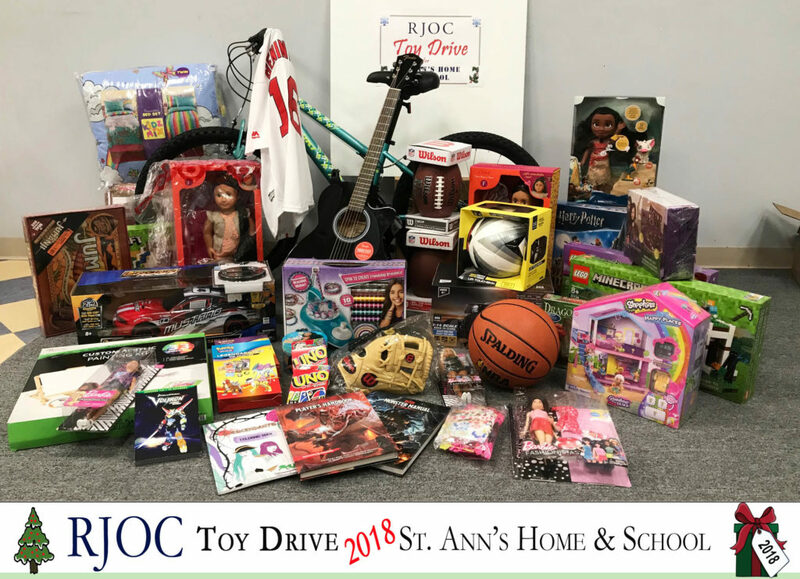 RJOC St. Ann’s Home Toy Drive…a Success! 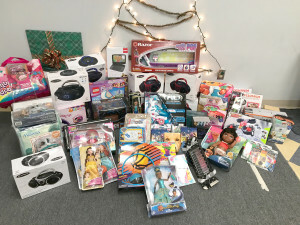 Once again during the month of December RJOC employees filled the Christmas wishes for some of the children at the St. Ann’s Home of Methuen. It’s a gift to everyone when you can help children. There is no better time than the Holiday Season to share kindness. St. Ann’s has been helping children since 1925. If you’d like to find out more about the work done at St. Ann’s visit their webpage www.StAnnsHome. 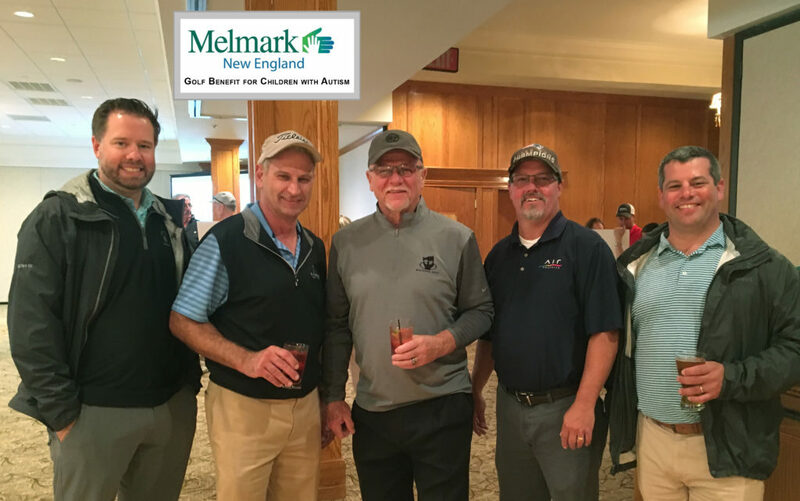 Monday September 10th Roy Smith enjoyed a great day of golf participating in the 13th Melmark New England Tournament. Melmark New England serves the needs of Children, Adolescents and adults who have autism spectrum disorders, acquired brain injury, neurological diseases, intellectual and developmental disorders and severe challenging behaviors. 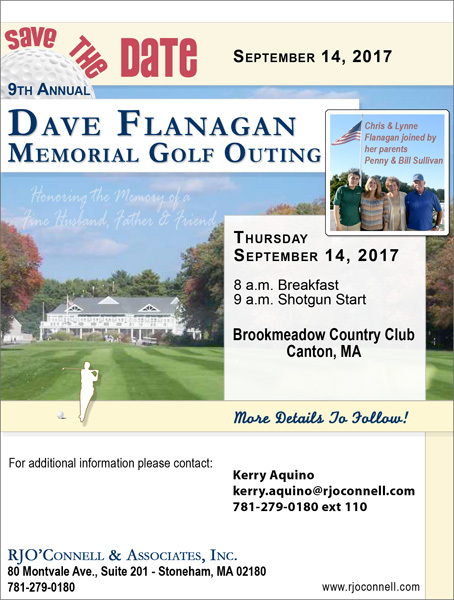 The annual event benefits the Melmark New England’s educational programs and services that are not traditionally covered by tuition. Visit Melmark New England for more information about the program. 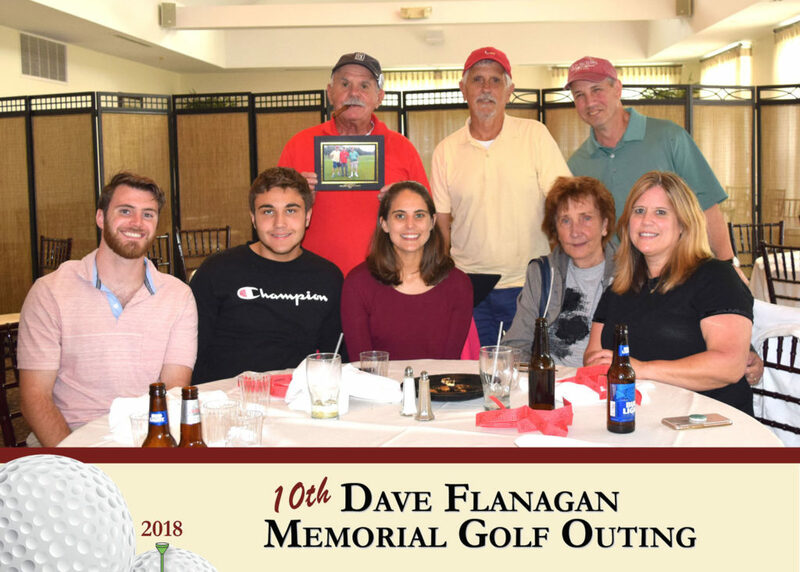 Flanagan Golf Registration has now begun…. NEREJ 2018 Retail Forecast – Rich O’Connell shares insights…. 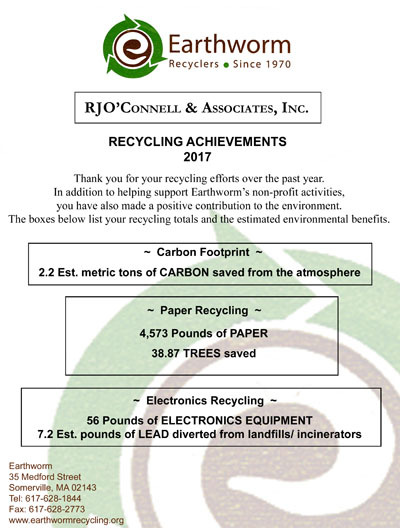 RJO’Connell & Associates is proud once again to work with Earthworm Recycling of Somerville, MA to help protect the environment. In 2017 we reduced our carbon footprint by an estimated 2.2 metric tons. 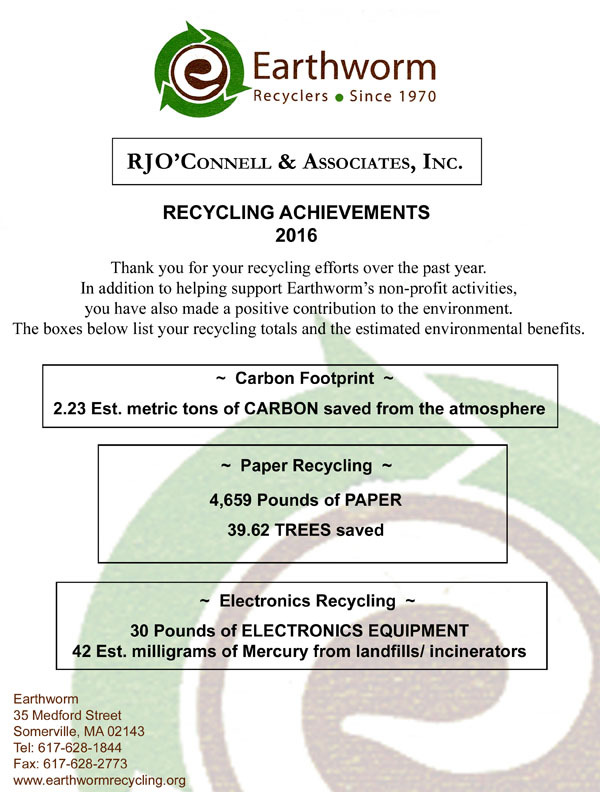 In a combined effort we recycled over 4,573 pounds of paper (saving 38.87 trees) and 56 pounds of Electronic Equipment. An estimated 7.2 pounds of LEAD diverted from landfills/incinerators. The best part of the Holiday Season is kindness shared. During the month of December RJOC employees filled the Christmas wishes for some of the children at the St. Anne’s Home of Methuen. This was certainly an activity that was a plus for both the employees and the children. St. Anne’s has been helping children since 1925. If you’d like to find out more about the work done at St. Anne’s visit their webpage www.StAnnesHome. 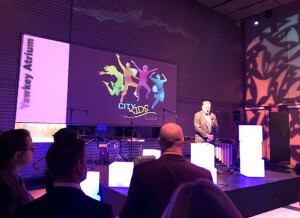 RJOC is proud to support CITY KIDS…..
RJOC’s Brian Timm attends “First Ever City Kids Gala”. He was very impressed and inspired by the work this organization is doing for the children of Boston. 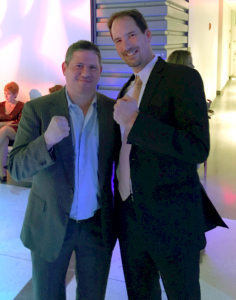 Brian shares a photo of himself with “Dangerous Dana Rosenblatt” a title winning left-handed professional boxer. Dana is a member of the City Kids Board of Directors. We are pleased to support our client City Realty Boston in their mission to help the children of Boston. Learn more about this program please visit City Kids. City Kids “All about the children of Boston” a great program founded by City Realty. The first-ever Gala was held in The Atrium at WGBH Studios November 8, 2017. Learn more about this worthwhile cause. RJOC featured NEREJ Company of the Month retail trends Oct 27…..
Medford….The reinvented Meadow Glen grand opening approaches…. Congratulations to our client New England Development as they near grand opening of Meadow Glen. Read about this new shopping experience at the NED site. Boylston Properties – LINX Office Building opened in April…. 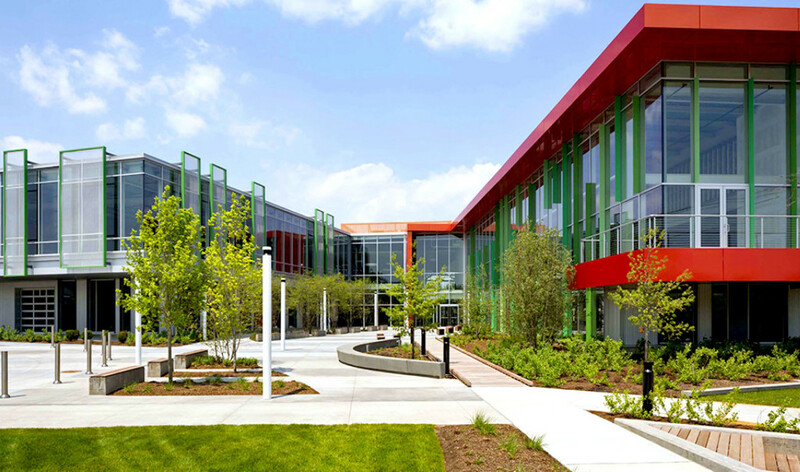 The New England Real Estate Journal highlights recent leasing at the LINX Office Building in Watertown, MA. Congratulations to our client Boylston Properties on the completion of this spectacular creative office and Lab building. 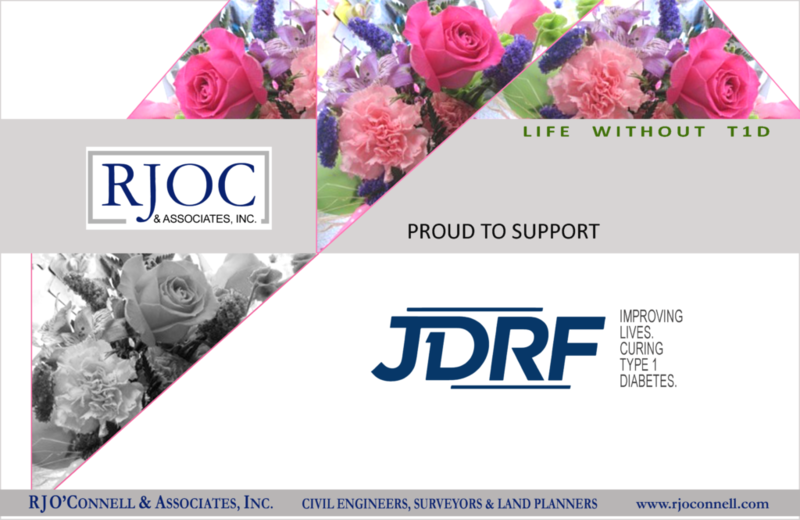 RJOC proud to be a part of their team. Read NEREJ full story here. 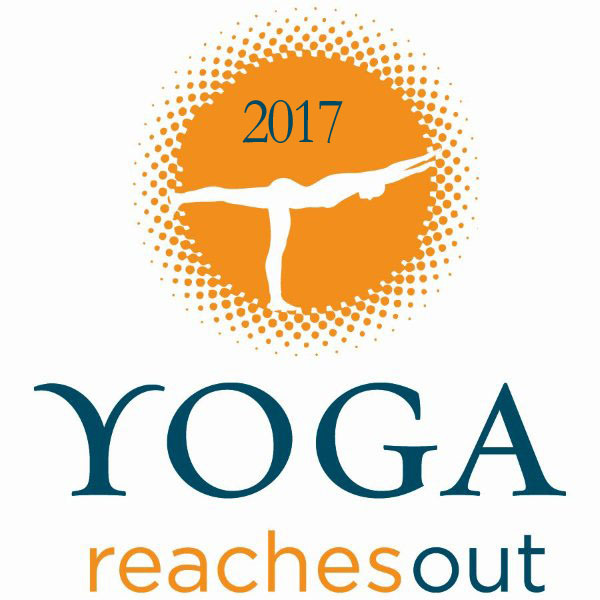 RJOC supports the 7th Annual Yoga Reaches Out New England Yogathon…..
Once again RJO’CONNELL & ASSOCIATES is a proud supporter of the YOGA ReachesOut New England YOGATHON 2017. The event will be held Sunday April 30, 2017 at the Empower Field House, Gillette Stadium. Proceeds will benefit the Yoga Reaches Out Wellness Program at Boston Children’s Hospital and Off the Mat, Into the World. For additional information on participating or donating please visit Yoga Reaches Out.org. 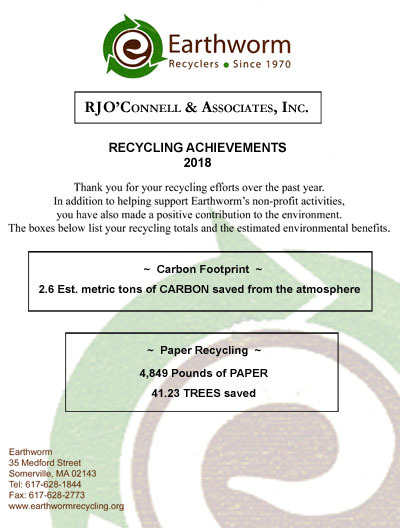 RJO’Connell & Associates is proud once again to work with Earthworm Recycling of Somerville, MA to help protect the environment. In 2016 we reduced our carbon footprint by an estimated 2.23 metric tons. In a combined effort we recycled over 4,659 pounds of paper (saving 39.62 trees) and 30 pounds of Electronic Equipment. An estimated 42 milligrams of Mercury diverted from landfills/incinerators. Once again The New England Real Estate Journal has featured RJOC’s survey manager Scott L’Italien, PLS in the 2017 Retail Forecast Spotlight. “Successful projects begin with a quality survey” read Scott’s full article published in the NEREJ January 27 – February 2, 2017 issue. download pdf.